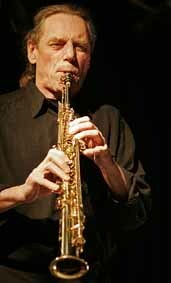 Urs Leimgruber (saxophones), born in Lucerne, Switzerland, is a key member of the European scene of contemporary improvised music. He specializes in solo concerts and performs regularly with the Urs Leimgruber/Jacques Demierre/Barre Phillips Trio and with Quartet Noir (with Marilyn Crispell, Joëlle Léandre, Fritz Hauser) in Europe, Canada, USA, Japan, and Cuba. His countless collaborations have resulted in successful concerts and recordings with Fred Frith, Steve Lacy, Lauren Newton, Evan Parker, Keith Rowe, Günter Christmann, Sunny Murray, Thomas Lehn, Günter Müller and many others. He has also been engaged for New Music projects with Ensemble SIX, the Berlin Philharmonic Wind Quintet and the ARTE Saxophone Quartet. During the 1970s, he was the co-founder of the Electric jazz and free-music group, OM.